NOTE: PLEASE DISREGARD HEADLINES POSTED BY WALES ONLINE, DAILY MAIL, METRO and OXFORD MAIL. Despite requests for them to report correctly after publishing, they state that Ted has barely anything to eat and no money to heat his home. This has 'unsurprisingly' been taken out of context by the papers purely to 'sensationalise' the story. PLEASE watch the video below explaining why this was set up which ultimately was to afford Ted a life without worry, stress, allow him some treats without worrying about the expense, to purchase him an electric scooter, a new bed and so on... Had the situation be where Ted is struggling to survive as the press have reported (despite NEVER having been spoken to) then friends would have stepped in long before as would the Royal Marines themselves. 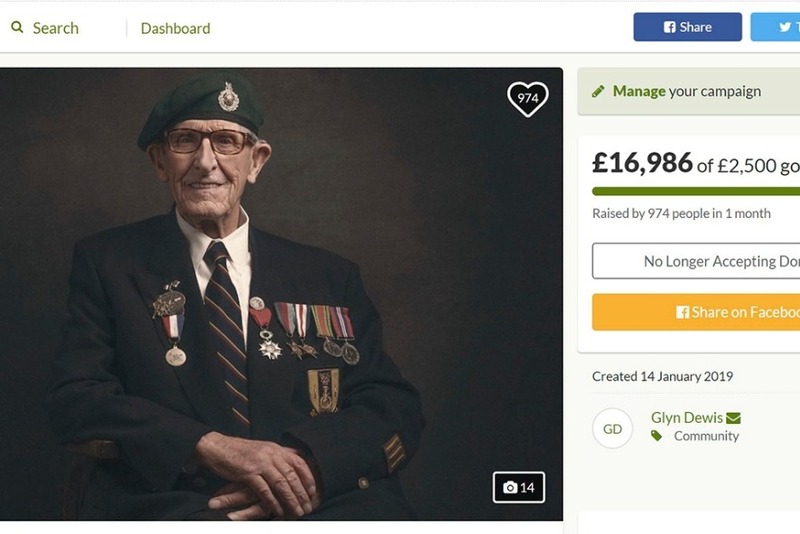 This GoFundMe had been set up to help a real life hero; 94 years old, D Day Veteran, 41 Commando Ted Owens. The funds raised are solely for the purpose of improving Ted's quality of life by paying his bills for the year so that his money is his own. Also to purchase him an electric scooter to give him more freedom and mobility PLUS a collapsible scooter that can be used when he's taken out on trips / visits. 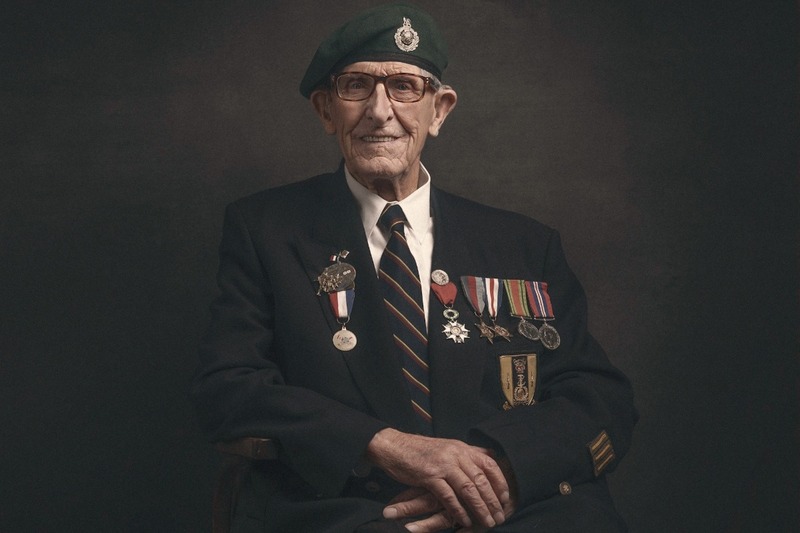 We would also like to get his Medal Ribbons repaired and are looking to take him abroad to revisit Normandy and the Netherlands where he served during World War 2. 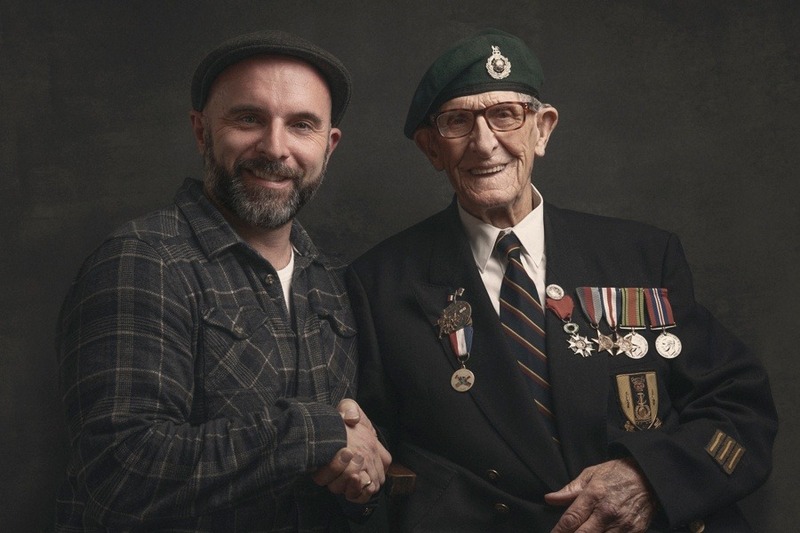 As the campaign far exceeded our hopes Ted will be wanting to help other Veterans and get them what they need such as electric scooters etc without delay caused by red tape and assessments. Note: All donations will receive the full 'Home Guard' tutorial from my online store ( https://www.glyndewis.com ); just leave a message when you donate saying you'd like a copy. Happy to say that today Ted received his cheque today thanks to using the Royal Mail Special Delivery Service however I did receive a text asking 'where the rest of the money has gone'. This has again made me feel a little uncomfortable and kind of feels like my integrity is being questioned again, so I guess you can see why from day 1 I've been keeping you 100% informed. 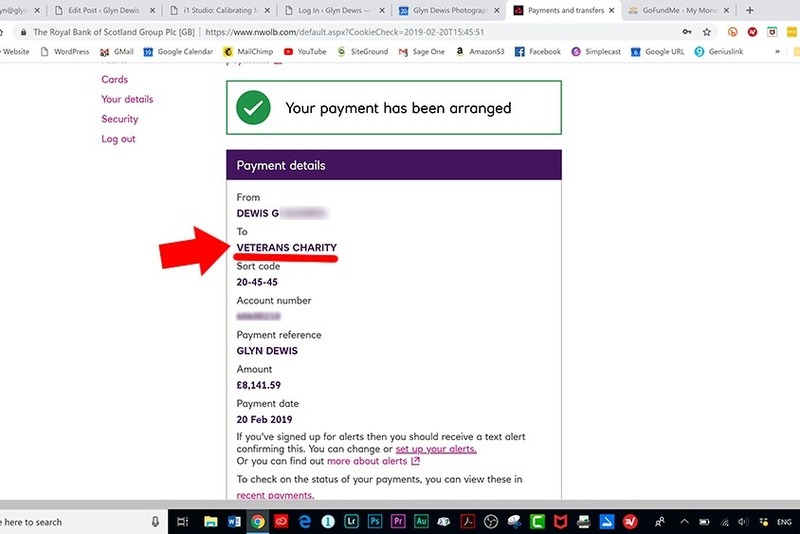 Obviously then I added the physical donations of £35 that made the total £16, 283.17 that was then split 50 / 50 between Ted and The Veterans Charity meaning each received £8141.59 (rounded up by 1p) ... this you would have seen in yesterdays update. Anyway, sorry to bother you with this but I just want to ensure that you have all you could ever need to see what was raised and proof that it ALL has been given to where it was intended i.e. to help Ted and many other Veterans. This week I'm going through the donation notifications and will be getting in touch with folks that will be receiving the VIP tickets to Mark Billingham's Tour. 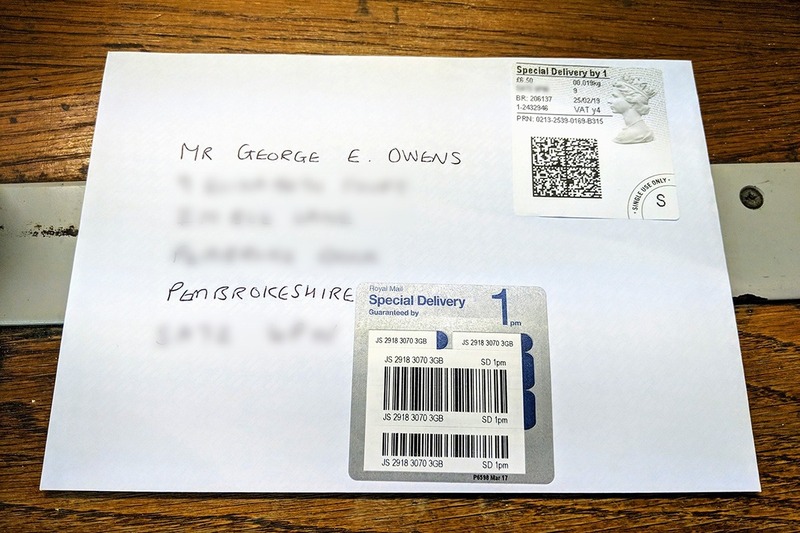 For Ted, I have this morning sent a cheque to his home address using Royal Mail Special Delivery Service which means the envelope is tracked and needs to be signed for and will arrive by 1pm tomorrow (26th February 2019). I did NOT want Ted's bank details to arrange a bank transfer so as to avoid any 'issues'. 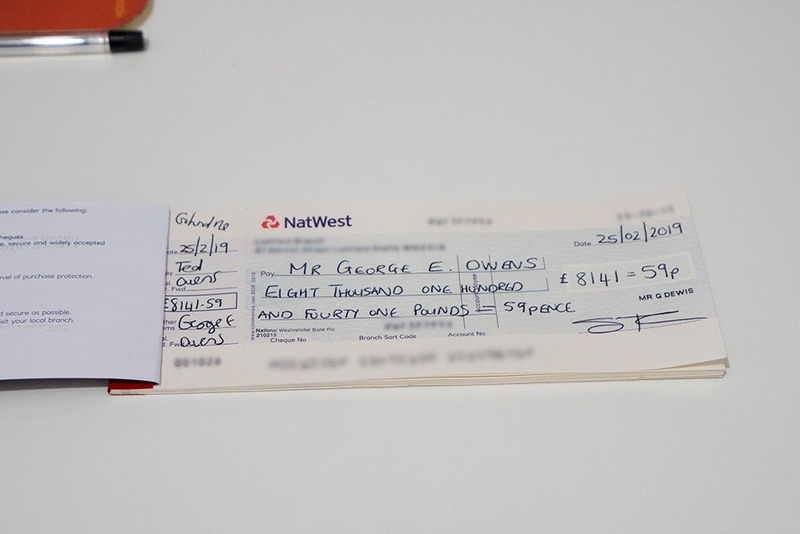 Please see attached files showing the cheque and the Special Delivery envelope. Right I guess that's all for now other than again to say a BIG Thank you for all the support and also for the trust you put in me to ensure that the money goes to where it's needed and to do everything correctly...that means a heck of a lot!!! If you didn't get the links to download the Home Guard tutorial, I've included them at the bottom of this message. I've spoken to Ted this morning and clearly you can tell that the negative press caused by the media has had a profound impact on him. Obviously the campaign has raised more than the original goal of £2500 and now it needs to be directed exactly where it's needed. Ted is desperately in need of an electric scooter for mobility and freedom. A foldable compact one would also be incredibly useful for when he is taken out on trips / visits. 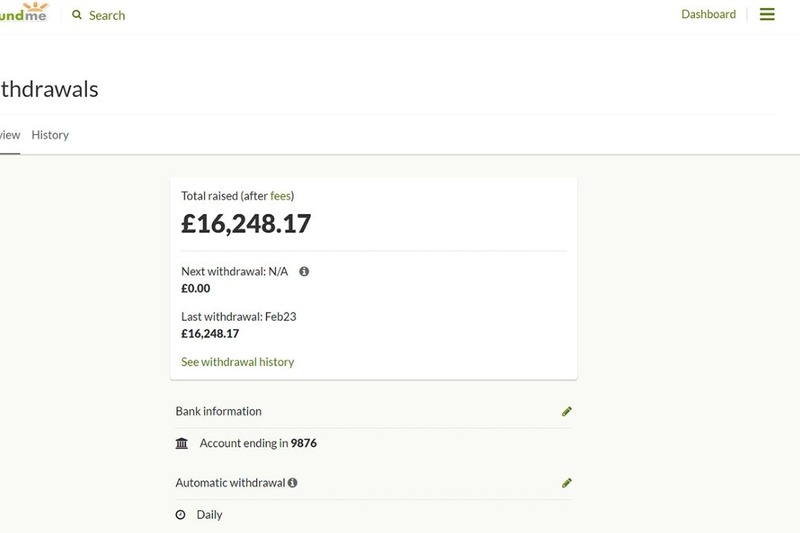 Ted also wants to donate an amount to SSAFA; a charity that have helped him in the past, so with that and Ted also having what we originally planned for, we propose that Ted receives 1/2 of the money raised (which when GoFundMe Admin Fees are taken into account stands at £16,262.23), so Ted receives £8131 ... an amount that will afford him what he needs to completely transform his life. Due to the project I am working on, I am meeting many other elderly Veterans in need and am well aware that there are folks struggling by in need of items such as Electric Scooters, a cooker that works, a new fridge etc, so with your blessing I propose that the remaining funds raised go to help these people. I see it that if you wanted to help Ted then the name is irrelevant...you want to help people like Ted be they a John or a Jane...this is our way of helping them get what they need FAST without the huge delays that the red take and bureaucracy causes. Are you happy with this? Are you happy for us to all help others in need in this way because Ted has said this is too much for him, more than he needs. I said to him that others need help...so I think we should do that.